OLYMPIA – The Washington State Senate will welcome John Horgan, Premier of British Columbia, to the Washington State Capitol on Friday. Horgan will deliver an address in the form of a joint session of the State House and Senate. Gov. 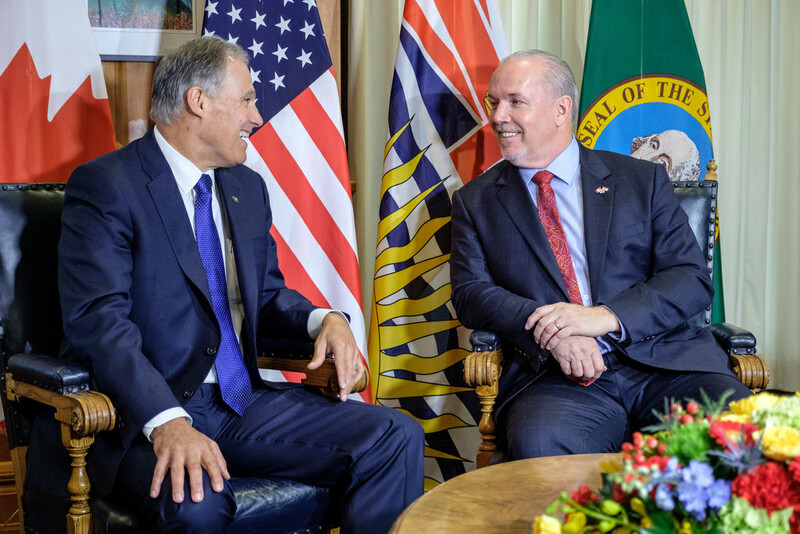 Jay Inslee spoke about the need for the region to work together towards sustainability during a visit to Victoria in 2017 – the first time a Washington governor had delivered remarks in front of B.C. lawmakers since 1984. In October, the two leaders signed a memorandum of understanding to fight climate change, and improve digital connectivity and transportation links, among other common goals. Washington exports more to B.C. than it does to all other provinces combined, and represents B.C.’s third largest international export market. As of 2018, British Columbia’s exports to Washington are nearly equal to the value of all the province’s exports to China.